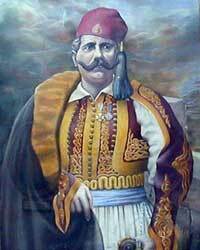 In Samos the revolution began on 18 April, 1821 and in Karlovassi on 8 May, 1821, with a formal ceremony. In the same month, Lycurgus Logothetes designed and put a local system of government into practice, called the Military and Political Organization of the Island of Samos, in order to impose law and order on the island. According to that local constitution, two systems of administration were established; the military one and the political one. With the above system of government, Samos managed to organize its defense and repulse three efforts of the Turkish fleet to subdue it, in 1821, 1824 and 1826, respectively. 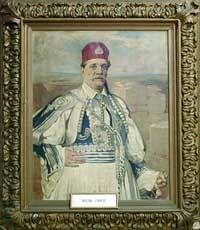 During the revolution, schools were built, the role of the General Assemblies was strengthened and the morale of the people was so much bolstered up, that, when Samos remained outside the borders of the independent Greek state in 1830, they continued fighting for freedom until 1834, when Samos was forced to become a principality. Although many privileges were given to the people of Samos, a lot of them, together with the leaders of the revolution and the metropolitan bishop, Cyrillus, migrated to the free Greek kingdom, in Chalcis.